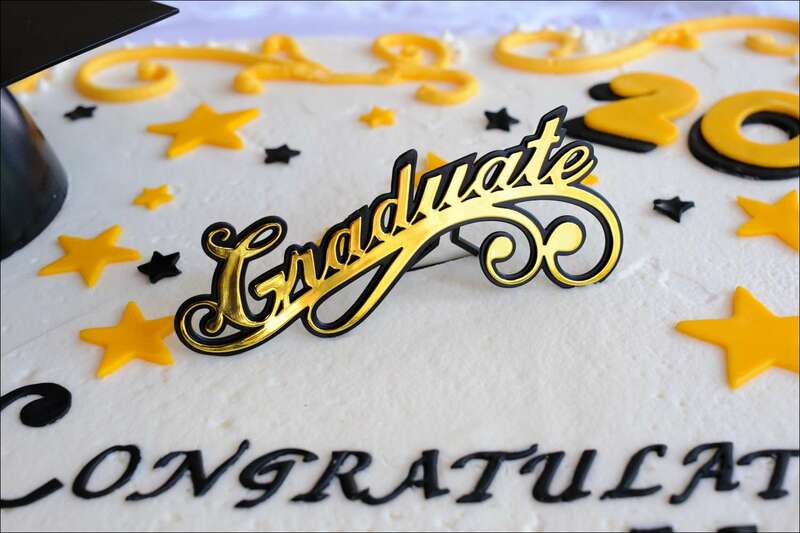 I created this graduation cake for the daughter of our neighbor who graduated this spring. Her colors were yellow and black and she didn’t really have a design in mind, so I got busy coming up with one. I was looking for something different than a traditional flower border for this cake. (Full disclosure here–I really hate doing buttercream flowers. I mean I HATE doing them because I CAN’T do them…not well, at least. 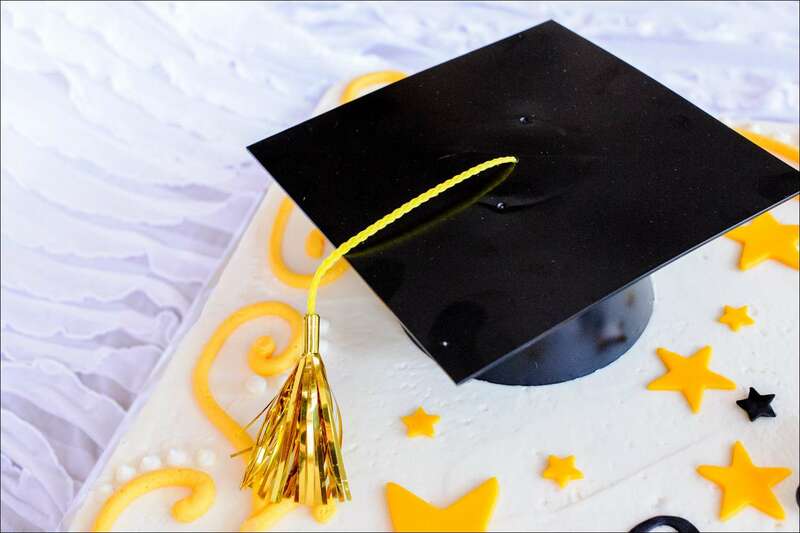 I also feel they are a bit outdated for graduation cakes for girls…just my humble opinion…in case you care :0). 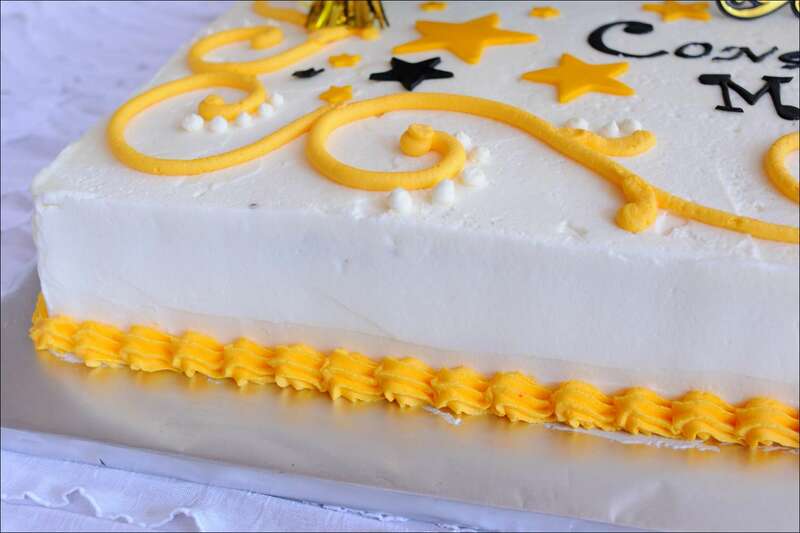 I was thinking, instead, of something somewhat whimsical that would cover a lot of space on this large cake. 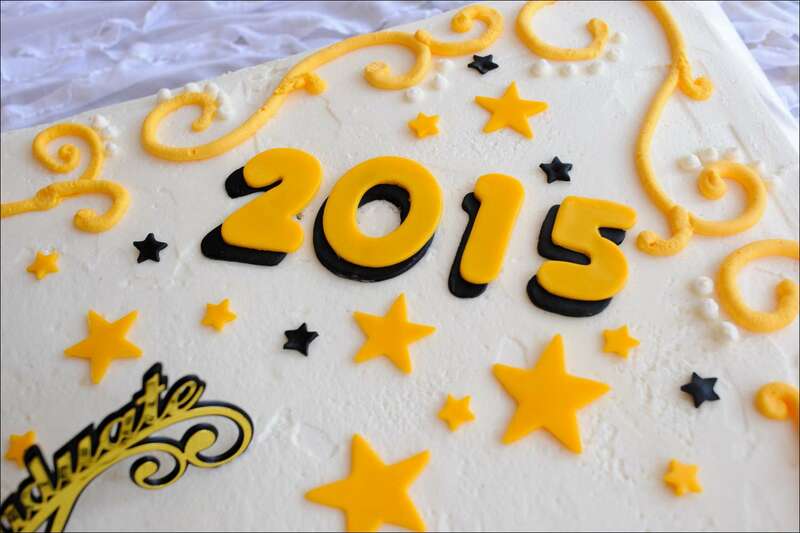 I opted for swirls and dots in yellow and white buttercream and yellow and black fondant stars. I finished the bottom with a traditional shell border, just to ground the whole thing and give it a finished look. The graduation cap topper and plaque I ordered online here. I needed something bigger than the usual toppers you see (which are typically 3-4″ square caps) for such big cake (this one measures about 6-7″ on a side). 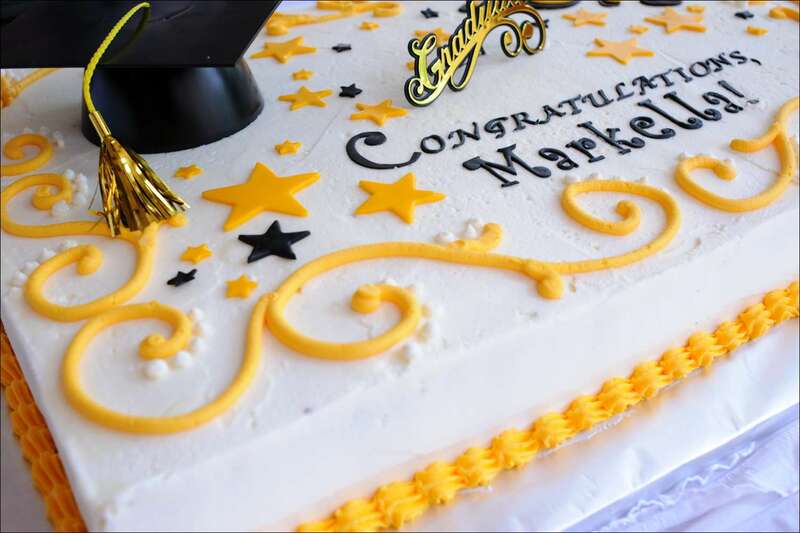 The graduate told me she loved the look of the cake as well as it’s uniqueness (she’d never seen one like it). That’s what you get when you order a custom cake…Never 2 the same! 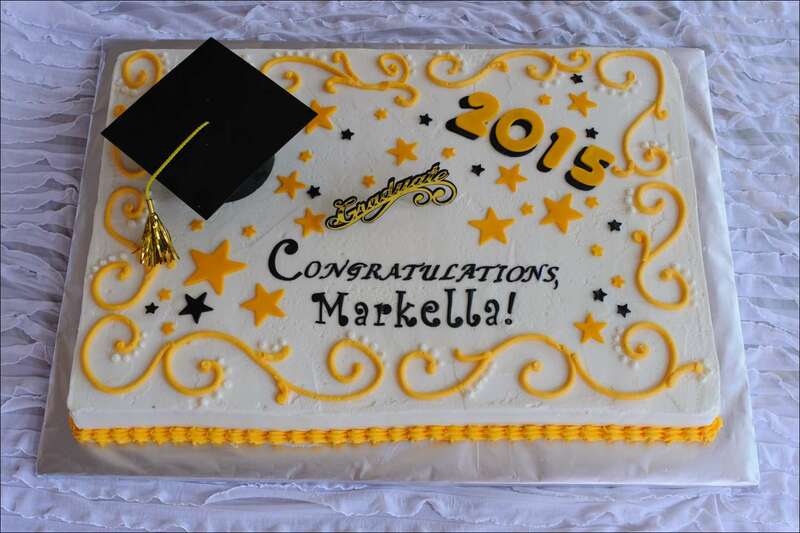 It was an honor to make your cake, Markella! I hope you enjoyed it and I was happy to be a part of your celebration!